This post is actually not about Neil Sedaka's catchy 1961 song or my love for the music of the 1950's & 60's. This post is about how couples choose their wedding month and which factors prevail: weather or cost? The wedding date is one of the first steps in the planning process. Pretty much all other details will fall into place around the date; the site, the theme/ colors, all the vendors, etc. It used to be that June was THE month for weddings. But more and more brides are steering away from tradition and planning their weddings on their own terms, which means that there are weddings pretty much every month of the year now. I have one friend who told me that she has been to a December wedding the past four years in a row! Obviously, where the wedding is taking place is a huge factor and being on the East Coast, most outdoor weddings will do best from April through October. Destination weddings are typically in warm locales so the date is more focused on availability of the bridal party & guests. I just finished up my main wedding season as a wedding planner, now that September & October are the new "it" months for weddings. The weather is typically perfect- nice but not too warm or too cold. But since these two months are the most popular, availability books up quickly for most ceremony and receptions sites and you will not get a cut on pricing at all. Book a wedding for January through March and you will most likely get a price break from your site and your vendors. I asked what factors helped to decide people's wedding date on the Felicity C Weddings facebook page. The majority of the couples chose a month that was sentimental- their relationship anniversary or when they got engaged whether it be August or November. One newlywed told me that she had her wedding last October because one of her "top requests was not to sweat on her wedding day" and one of FCW clients said she picked Thanksgiving weekend because she wanted all of her extended family at her wedding. So it seems from my observations that while cost is important, the month is more important to most brides. All in all, the date does matter and the earlier you start planning, the better chance you have of getting the month you want! 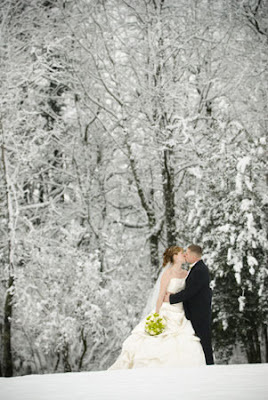 Here a few pictures of weddings in each season. Enjoy!